Just as I mentioned in my post about the grassy morning sunrise PowerPoint template, I’m starting to integrate my own photography into my work as much as I can. 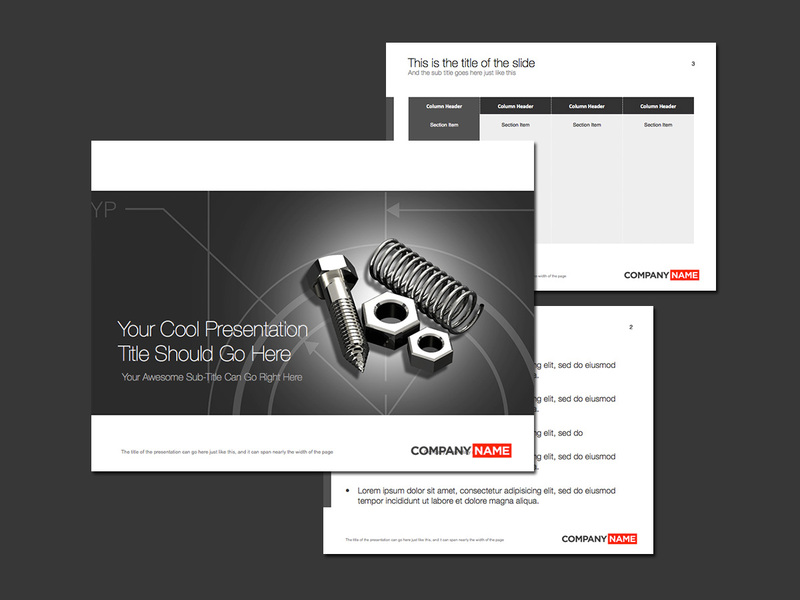 It’s not always possible for my 3d renderings or airliner art, but presentation templates are the perfect scenario for incorporating these photos. Here’s my latest attempt. The photo on the cover slide just so happens to be the interior of the inter-terminal train that runs back and forth inside the McNamara terminal at Metro Airport in Detroit (DTW). I shot it a few months back I when I travelled to Detroit to see the 2014 North American International Auto Show, and I thought an image like that might be useful for something in the future – and the fact that I’m writing about it now makes me feel good that I made the effort to take the shot. I’m always thinking ahead like this – it’s not like I’m forcing myself to do it or anything…it’s just that the designer in me can’t help but to look at everything with an designers eye when I’m out and about doing everyday things. It felt a little bit stupid to take the photo then, but it just goes to show you how even the seemingly little things can be very useful at a later date. 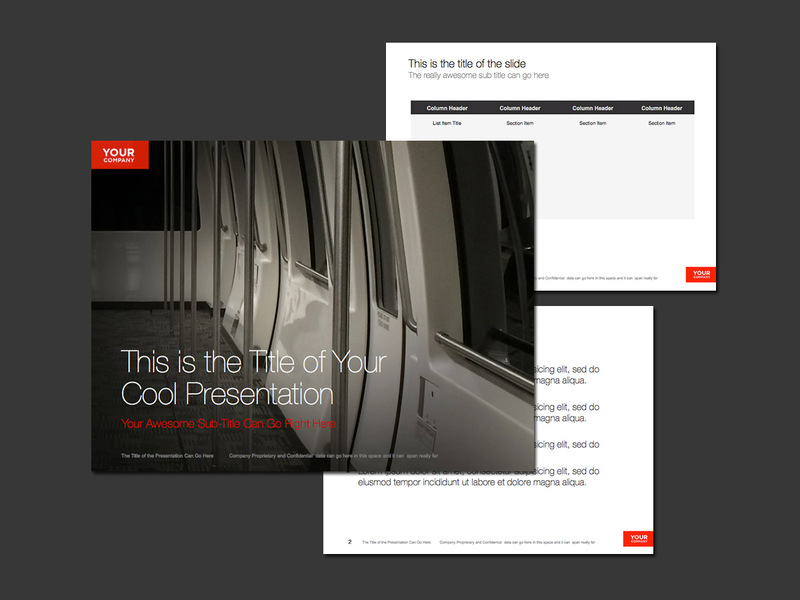 This fully editable PowerPoint template features three slides: the cover slide, an example table slide, and of course a generic bullet-point page. I envision this template to be used for travel and tourism type presentations, and if you just so happen to work at DTW, you’ve hit the gold mine! This is the template for you. Please note that the font I’m using for this one is Helvetica Nueue, but you could use pretty much any ultra-thin font to achieve the same look. 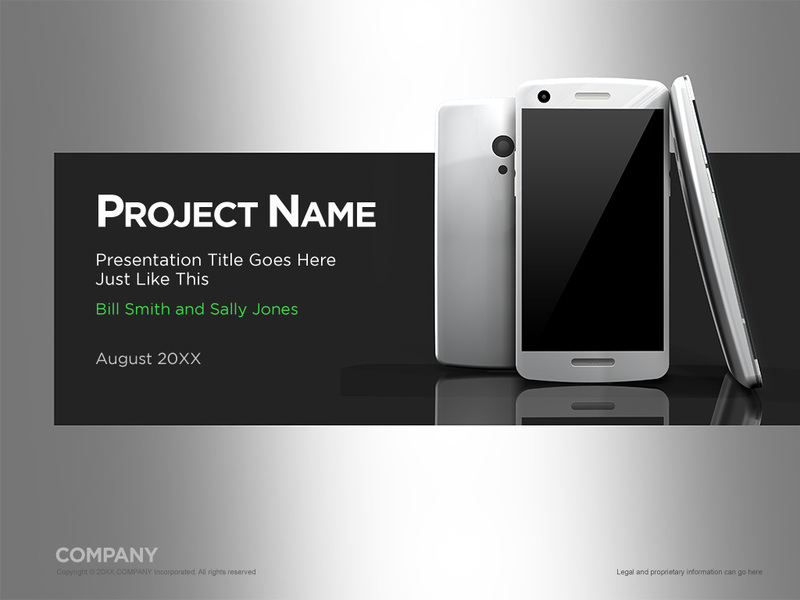 Please click here to download this .pptx file in .zip format. Thank you for this cool template. I really like it! No problem – hope it works well for you!